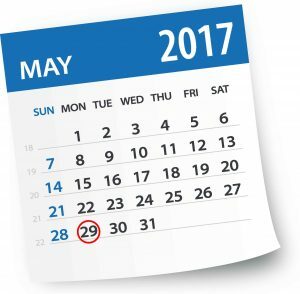 May 29 is a special day in the college savings community thanks to Section 529 of the Internal Revenue Code, which gave life to 529 plans. Many states celebrate May 29 as 529 Day to raise awareness of the important role 529 plans play in helping American families save for higher education. For those who already have 529 accounts, it’s a good time to review what you have. Are you contributing enough to your plan? College is expensive, and any small amount you contribute to your plan has the potential to grow—so the more you can put in now, the better. Each year, it makes sense to re-evaluate where you are financially to see if you can increase your contributions. Are you signed up for payroll contributions? The easiest and most consistent way to give to your account is through payroll contribution. You choose how much money you want to contribute, and it automatically goes into your account from each paycheck. It’s a simple, low-maintenance way to ensure you are consistently contributing. Are you anticipating withdrawing funds in the next year? If your beneficiary is approaching college, May 29 is a good time to start researching the best way to make withdrawals. Financial aid, timing of withdrawals, scholarships—there are many circumstances that affect how much you withdraw, and from which accounts if you have more than one. Even if you aren’t quite ready to withdraw, this might be a good time to review how to withdraw funds so you are prepared. Does it make sense to sit down with your child and teach them about college savings? Depending on the age of your children, this might be a good opportunity to show them the UESP dashboard. Located in Account Access, the dashboard uses interactive graphics to show your account information, such as account value, investment allocations, contributions, and withdrawals. You also discuss how much college costs with your child and where you would like your savings target to land. Many account owners use this as a tool to teach their children the value of education and saving versus borrowing. Have you considered the Gift Program? UESP has a special program that allows family members and friends to contribute to a UESP account using a unique code. It’s a good option to consider around birthdays, holidays and other gift-giving events. As you look at your account and evaluate what, if any, changes you’d like to make, please visit my529.org or call us at 800.418.2551 with any questions.